Kotak Mahindra Bank, India’s fourth largest private sector lender, said it has received the approval from Reserve Bank of India (RBI) to set up its first international branch in Dubai, UAE. The new unit will be set up at Dubai International Financial Centre (DIFC), one of the leading global financial centres with sizeable business opportunities. The approval from RBI is subject to the necessary approvals to be received from the host regulator viz., Dubai Financial Services Authority (DFSA), said a statement from the bank. The strategy behind launching a branch in DIFC is to access off-shore markets and improve capabilities in forex operations, it added. Through this branch, the top Indian lender will be able to raise off-shore deposits from individuals and non-individuals and also offer off-shore asset products. It will enable Kotak to participate in financing the increasing global trade flows with India, provide loans and develop a platform to build its syndication and structuring capabilities, thereby creating a stronger franchise. In addition to the proposed branch of KMBL in DIFC, Kotak Mahindra Group has international offices in London, New York, Texas, California, Dubai, Abu Dhabi, Mauritius and Singapore. 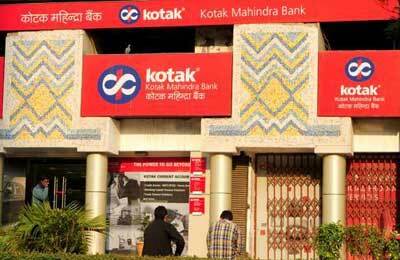 Established in 1985, Kotak Mahindra Group is one of India's leading financial services conglomerates. In February 2003, Kotak Mahindra Finance Limited, the group's flagship company, received banking licence from RBI, thus becoming the first non-banking finance company in India to convert into a bank.